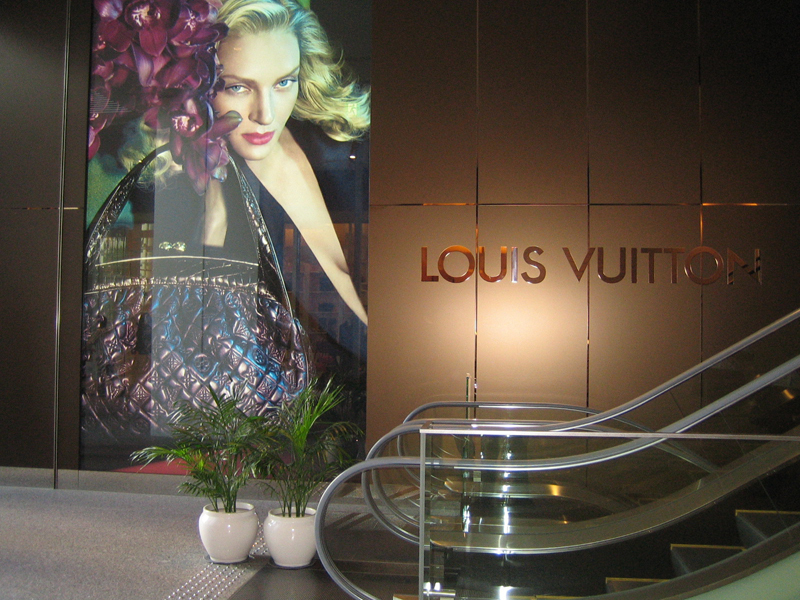 Bronze color stainless steel wall panels as exterior of luxury brand shop in Osaka Japan. This Bronze color is developed by Sputtering coloring process which makes color coating on the stainless with ceramics such as titanic nitride and carbide. The Bronze color by Sputtering process is used very common, especially in luxury facilities such as City Hotels or Luxury Brand shops as it’s elegant bronze color.